If you are interested in purchasing embroidered Paws & Think items, such as ball caps, totes or vests/bandannas for Animal Therapy Teams, please contact Brenda Johnson at bkjohnson@nullballstate.bsu.edu. A little book about a little pup. 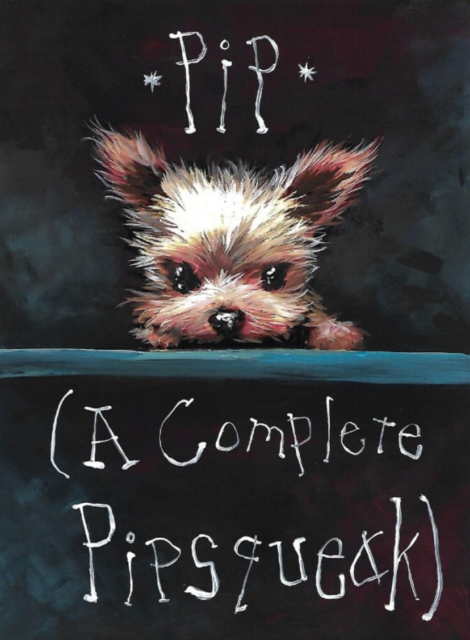 This book, illustrated by renowned artist Gabriel Lehman, highlights all of the things that make little Pip a Complete Pipsqueak. Gabriel is known for his whimsical creations and playful flair! Be on the lookout for his hidden art design element in the book. Each book comes “signed” by Pip. Books are also available at City Dogs Grocery. Pip believes in giving back every way she can! 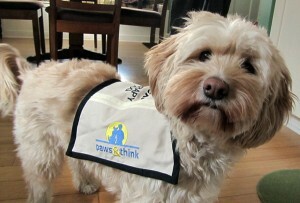 Net proceeds benefit Paws & Think.